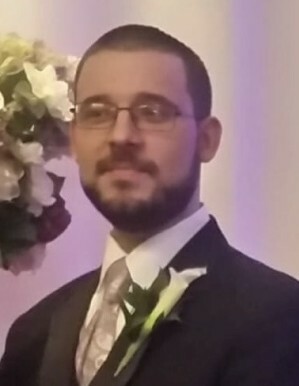 Benedict Leo Gilluly, IV , 28, of Barnegat passed Wednesday, April 10, 2019. Born in Freehold, NJ he lived in Barnegat and was a member of the first graduating class of Barnegat High School in 2008. Ben was employed at Nestle in Freehold, NJ. He is survived by his beloved parents, Benedict L, III and Ingerlise Gilluly; his two loving sisters, Emily Gilluly and Olivia Scott; cherished aunts and uncles, Marylou and Harry Eisenhauer, Elizabeth and Stanley Swist, Richard and the late Sandra Cole-Hatchard, Linda and William Schmeelcke, Dianna Gilluly, Barbara and Fred Grimm, Arne and Laurie Kjems as well as many cousins and friends. Viewing Sunday, April 14, 2019 from 3 to 8 PM at Barnegat Funeral Home, 841 West Bay Ave., Barnegat. Private cremation to follow. In lieu of flowers, donations to the Southern Ocean County Animal Shelter, 360 Haywood Rd., Manahawkin, NJ 08050 greatly appreciated.